Oh i love 40's and 50's both makeup and hair..
love this tutorial, especially the hair. you are right, she has completely different shaped eyes! amazing :) great vid, I'll try the sweep over look myself. I really enjoy your old Hollywood inspired vids. Miss Lake had amazing cheekbones and gorgeous lips. My absolute faves from that time though are Rita Hayworth, Katharine Hepburn and most of all, Lauren Bacall. Very "femme fatale"! I love it! How beautiful! 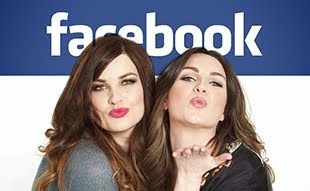 Hair&makeup alike. I'm amazed!!! I loved this video, I might do this style soon. 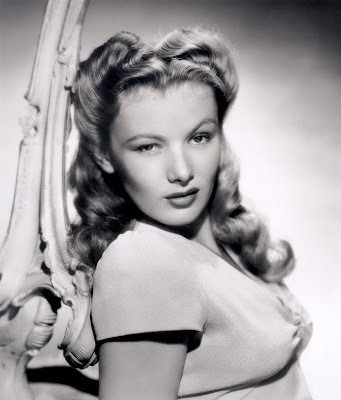 You look a lot like Rita Hayworth with this style. Wow! I love you guys. That was a very well done tutorial, my hair is so thin I wish I could get it to look like this! I've been watching and reading you two for a long time. You have inspired me to go after my dream in makeup artistry. I really hope that you will follow my blog, I don't have any followers yet, haha. Love Veronica, for me, you nailed it! 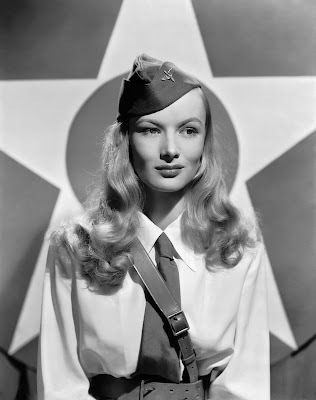 I LOVE Veronica Lake and I'm going to review your video on my blog if you don't mind! I'm such a fan of yours.. keep doing the classic hollywood tutorials - they're my fave! Could you do the new Chanel Christmas 2010 look tutorial? I love this blog, discovered it yesterday and I was so inspired!! Hi Sam, talking about full coverage foundation, I remembered how so many people are pleased with the DiorSkin Forever Compact foundation. Have you tried it? If so can you share your opinion about it? Many thanks. gar, she is just stunning! I really want to watch black and white movies now! One thing i noticed...you dont ever use Mac MSF products...is that because you dont like them or is there any other reason?This is obviosly completely unrelated to Veronica Lake but i meant to ask this a long time ago. I'm so glad I'm not the only person who can't brush her slightly wavy hair because it goes frizzy. I've got eyes like hers, different shapes I mean. and YOU are amazing! the look is so well done and the hair looks really amazing! my favorite part is when the hair brush talks.